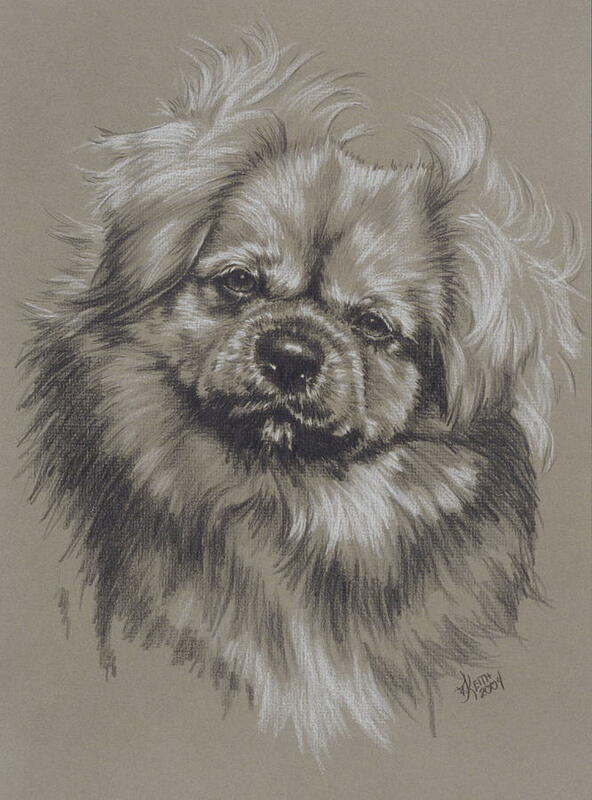 Tibetan Spaniel is a drawing by Barbara Keith which was uploaded on January 14th, 2010. 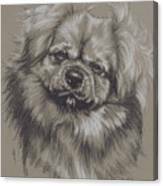 Small but active and alert, the Tibetan Spaniel dog breed hails from mountainous Tibet, where he served as a companion and watchdog. He’s known for his intelligence, easy-care coat, and his desire to keep watch over his family from high perches in the house (http://dogtime.com). Our family had one of these incredibly smart, loving, and personable dogs. She came to us as fully trained (pregnant) stray and lived with us for another ten years as a much treasured family member. 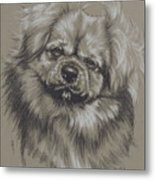 Loved the dog; love this work! very nice but as I remember all your work is well exicuted! 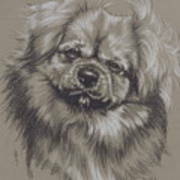 Barbara, love all your new doggy drawings. You always capture their personalities so well!